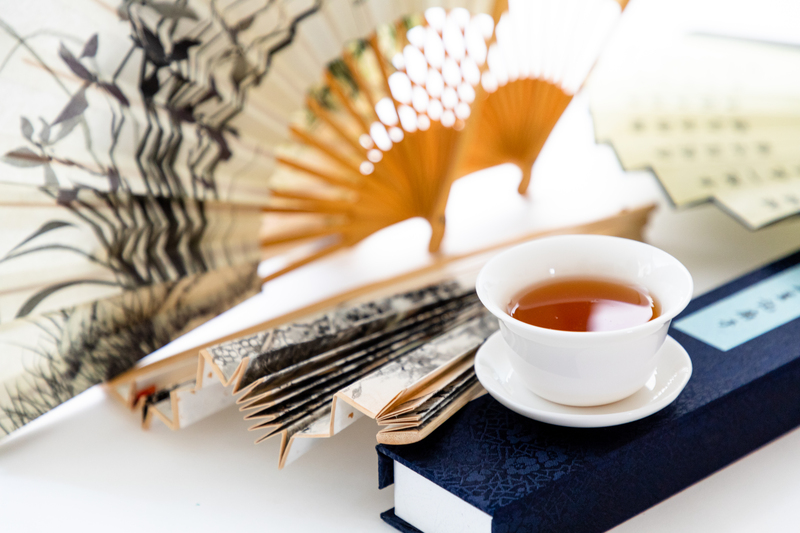 A folding fan with the decoration of "Harmony in Nature" painting. 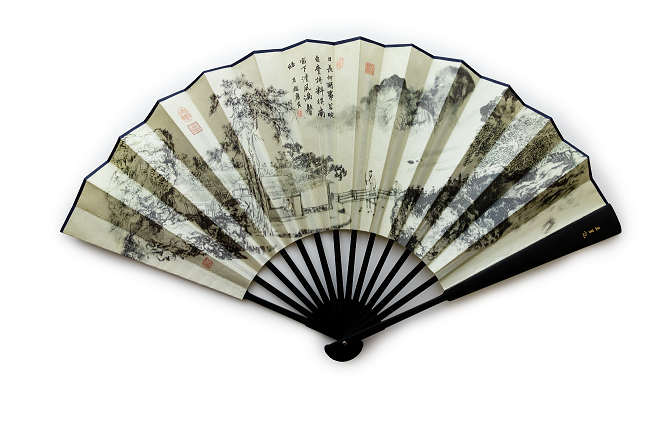 It is a classical Chinese folding fan decorated with Chinese ink painting. The painting displays a sublime landscape with forests, hills, waterfall, a simple hut, a gentleman walking on a bridge to his friend ..... an ideal scene of enjoying tea in nature. 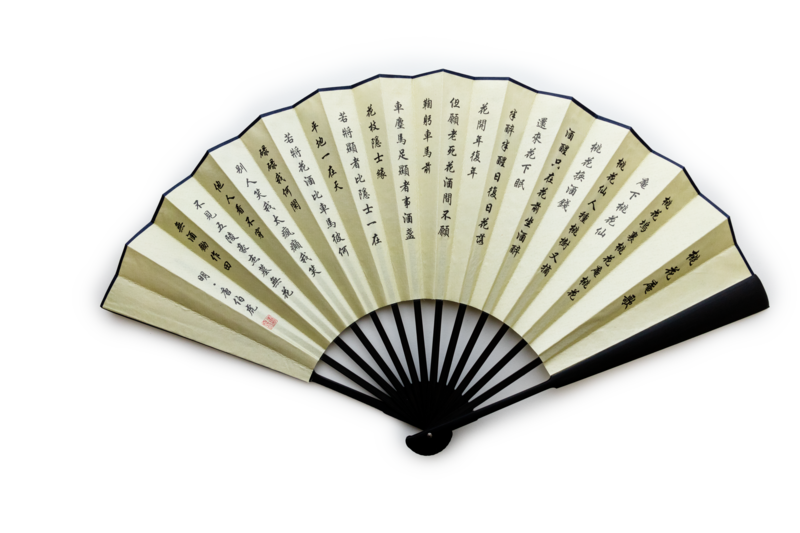 The back side of the fan is a Chinese prose. It is also a piece of beautiful calligraphy.